CreativeMornings are free, but you must pre-register to reserve your space through the Eventbrite link below. 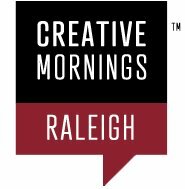 As of Tuesday, September 11th this CreativeMornings session is SOLD OUT. Aly Khalifa - owner, product & engineering director, and Eisenhower Fellow, comes to the design profession from a bipolar education at NC State University: Mechanical Engineering and Product Design. His goal is to find the balance of both of these disciplines in each project challenge. Aly’s career is chiefly centered about Gamil Design, a firm he started in 1995. His work experience previosuly included working for the NCDOT, wind tunnel of the US EPA, Performance Bicycle, and teaching at NCSU’s School of Design.